Netizen Ann Guerrero warns us on the new modus operandi of Dasmarinas, Cavite that targets unaware commuters or motorists. She narrates the modus stating that, a man that is acting like an “undercover PNP officer” would ask a targeted passenger to borrow their cellular phone for surveillance of the “entrapment” that they are conducting, a few minutes later the “undercover cop” would run away from the scene with the stolen phone in hand. Guerrero reminds us that slightly sketchy situations like this require keen sense of intuition. She pointed out that it was impossible for the cop to not have the equipment necessary for the entrapment yet still the victim let his phone be borrowed. So it is important to keep your guard up at any given situation and don’t be afraid to ask questions even if it is the police. You can refer to Ann Guerrero’s full Facebook post below. Bagong modus sa Dasmarinas: Lalakeng nagpanggap na pulis para hiramin ang cp ng lalaki na nasa loob ng sasakyan, may entrapment dw sila kaya kelangan nya ma videohan ang sasakyan na nasa unahan. Wala dw sya dala cp kya manghihiram sya. 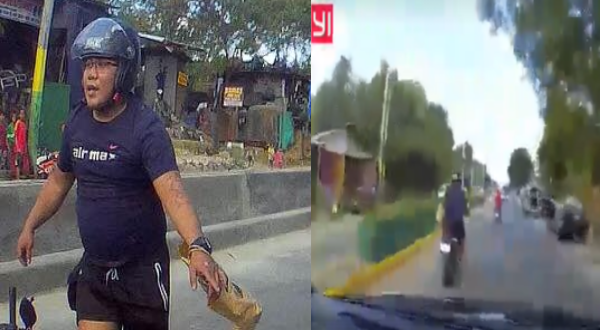 Edi wow si kuya, entrapment wla kahit ano dala??? At dahil natakot nmn ang lalaki na nsa loob ng sasakyan binigay nya naman ng cp nya. Nung napansin nyang tumakas na ung magnanakaw hinabol na nya ito.